I was familiar with the Covenant Bible Camp of Alaska well before sending my own kids there... even before becoming a mother; not because I had attended myself but because I had heard many camp stories told by my husband, his siblings, and friends. Bible camp was part of everyone's favorite summer memories! We sent both our boys to camp for a few years and every time their report matched everything I had heard before, "Bible camp was a awesome!" Finally last year, I had the opportunity to see it for myself! It was going to be my first time in Unalakleet so I was already super excited! I served as a kitchen staff volunteer my first week and a counselor my second week. I was very impressed with how well you eat at Bible camp! Each meal is carefully planned, copious, and just plain delicious. "Home" cooked meals everyday... at camp!! As a counselor, I got to experience everything the children were doing every minute of the day. From worship and chapel time to the many daily activities (art classes, hiking, outdoor team games, swimming, steam bath, canoeing,...) campers are kept busy, happy, safe, and spiritually fed!! Worship time alone at Covenant Bible Camp is a truly unique experience!! You can really feel God's presence there! Let's not forget about cabin clean up time, during which campers are encouraged to be creative. Each cabin is inspected daily and points are awarded according to different criteria. Results are revealed during the evening worship and chapel time! It is quite impressive to observe the level of organization that is displayed at Covenant Bible Camp especially considering the fact that there are around 100 children in attendance each week! Many wonderful staff and volunteers make this camp happen every year: counselors, speakers, office staff, cooks, pilots, to name a few. Send your child(ren) and they'll want to come back every year! 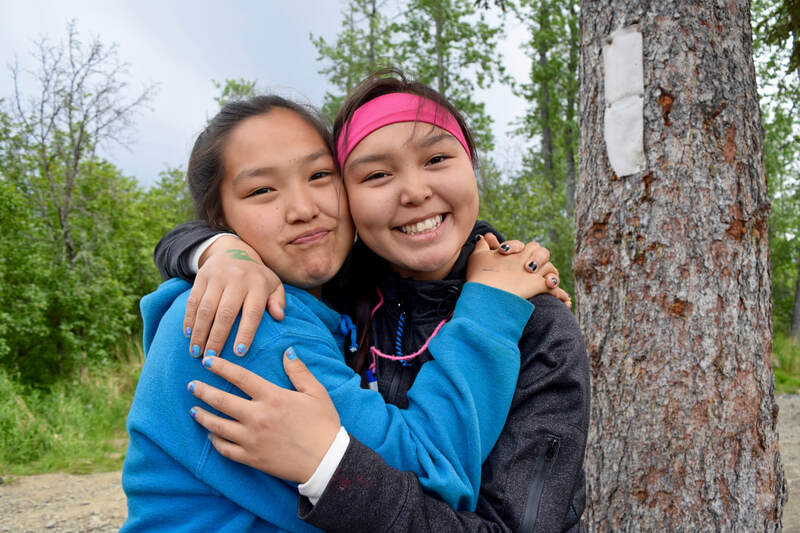 Volunteer at Covenant Bible Camp and you'll find out, as I did last summer, that there is a little piece of heaven near Unalakleet, AK called Covenant Bible Camp where even adults have a blast!